Ashley is PolishAddicted: World Autism Awareness Day, Monday, April 2, 2012- Let's Wear Blue Polish!! World Autism Awareness Day, Monday, April 2, 2012- Let's Wear Blue Polish!! This coming Monday, April 2nd, is World Autism Awareness Day. This is a special cause for me because I know a VERY special little boy who happens to have autism. Those of us in the polish community have pulled together before for other causes and I fully believe we can do it again. On Monday make sure to paint your nails blue! It's as simple as that. Is it going to change anything? Maybe not. But it might just help raise awareness, even if it only opens one person's eyes, it's worth it. Someone else suggested adding in puzzle pieces with the blue. I think this is a wonderful idea! I will attempt it, even though we all know how I fail at nail art. I want to see YOUR blue manis! If you paint your nails blue on Monday, with or without the puzzle pieces, I want you to upload a picture to my Facebook page. 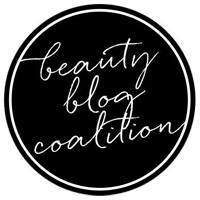 I will share it on Facebook, make sure to link your blog if you have one! From Autism Speaks: "Autism statistics from the U.S. Centers for Disease Control and Prevention (CDC) identify around 1 in 88 American children as on the autism spectrum–a ten-fold increase in prevalence in 40 years. Careful research shows that this increase is only partly explained by improved diagnosis and awareness. Studies also show that autism is three to four times more common among boys than girls. An estimated 1 out of 54 boys and 1 in 252 girls are diagnosed with autism in the United States." 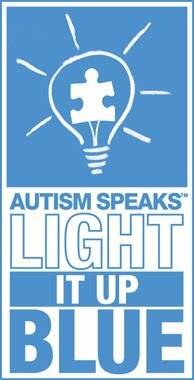 For more information on Autism and Light it up Blue please visit Autism Speaks. My cousin has Aspergers, so I will definitely be rocking blue nails on Monday! My youngest has Autism Spectrum Disorder, so I see first hand just how much these precious children struggle with things that come naturally to others. I'm wearing as much blue as I can, in honor of my son Matthew! One of my closest friends has a special child. And I have relatives who has this disorder also. So I will definitely wear blue shirt.And since I love nail polish also, I will use blue one. And I will post this on my page - Mum's International. Thank you. Will do! One of my friend's grandchild has autism. I work with children who have autism, so I will be participating in this.